The Sister Mary O’Donnell Emergency Shelter, operated by Homeless Services of Aroostook, is located at 745 Central Drive in Presque Isle. PRESQUE ISLE, Maine — Following an overnight manhunt, police on Tuesday morning arrested a suspect in an alleged stabbing at Presque Isle’s homeless shelter. Around 7:15 p.m. Monday, 65-year-old Daniel Bertrand allegedly attacked an employee of Sister Mary O’Donnell Homeless Shelter with mace and “an edge weapon,” according to the Presque Isle Police Department. Multiple law enforcement agencies subsequently launched a manhunt Monday night for Bertrand that stretched into Tuesday morning, when he was apprehended, according to police. Details about how and where he was found were not immediately available. The shelter staff member was taken to The Aroostook Medical Center, treated and released for injuries not considered life-threatening, according to the police. Before Bertrand was arrested Tuesday morning, Northern Maine Community College officials closed the campus “due to an abundance of caution,” according to a news release. 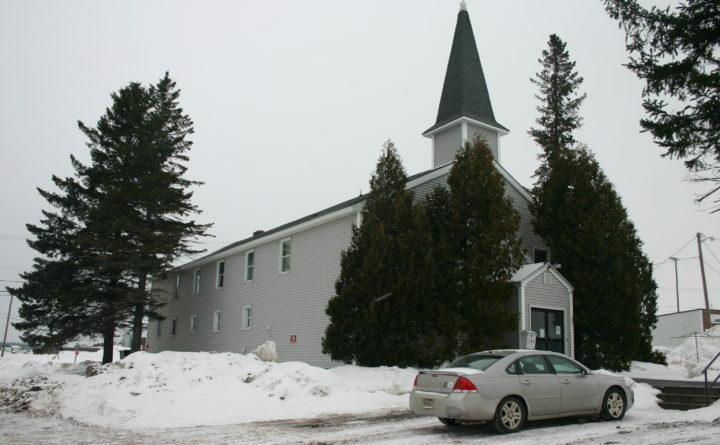 The Sister Mary O’Donnell Homeless Shelter is located in Presque Isle’s Skyway Industrial Park, along with multiple businesses, the Northern Maine Regional Airport, NMCC and the Presque Isle Middle School. The middle school remained open, but school officials were taking extra precautions and said all doors to the school are locked except for the front entrance at the beginning and end of the day.